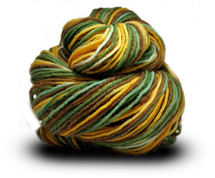 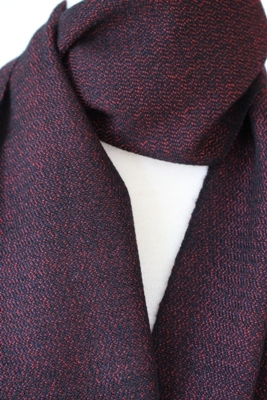 As with all of Kim's award-winning, hand-woven scarves, this scarf is extremely lightweight whilst still providing the warmth of wool - without the weight. 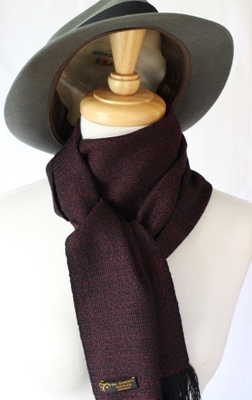 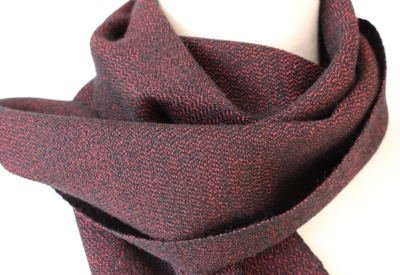 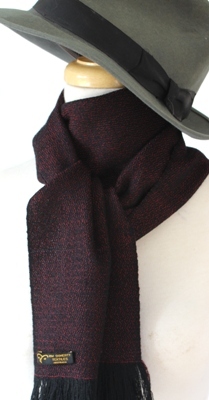 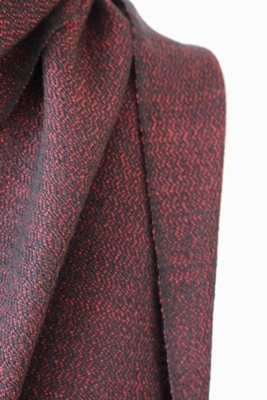 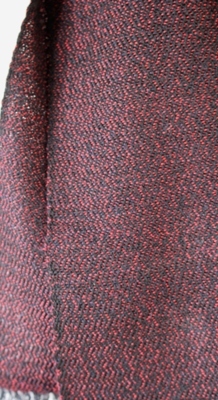 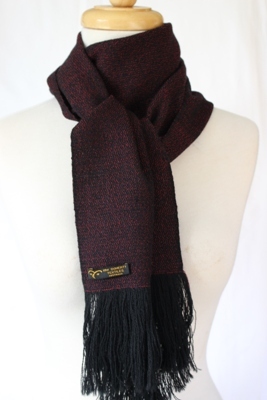 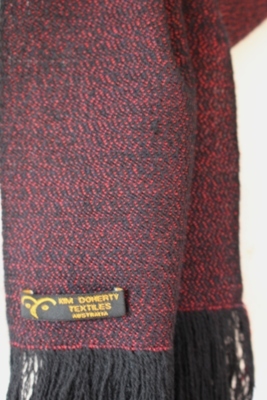 Striking colours of black and red are muted somewhat by the weave structure, creating an elegant and stylish scarf. 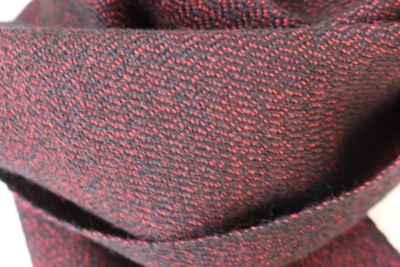 This weave structure captures light in such a way as to bring depth and colour variation as it moves with your body and the elements.